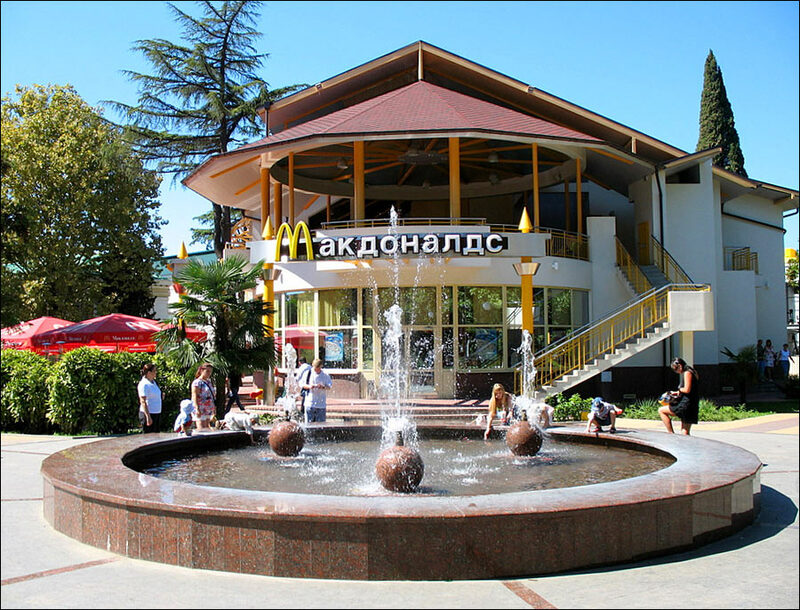 Sochi is Russia’s only subtropical resort city located in Krasnodar krai, on the northeast coast of the Black Sea, 1,620 km south of Moscow. Sochi is informally referred to as the summer, the southern and resort “capital” of Russia. 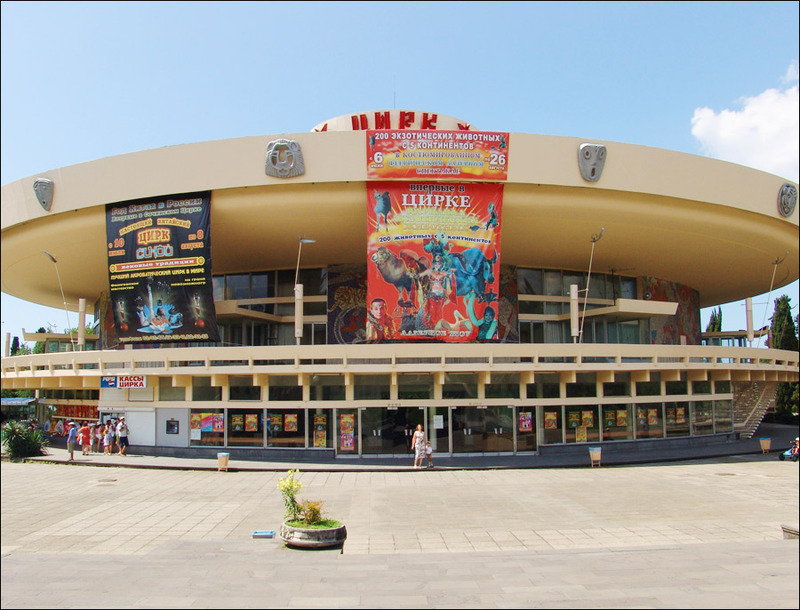 The city is a major transportation hub as well as a large economic and cultural center of the Black Sea coast. 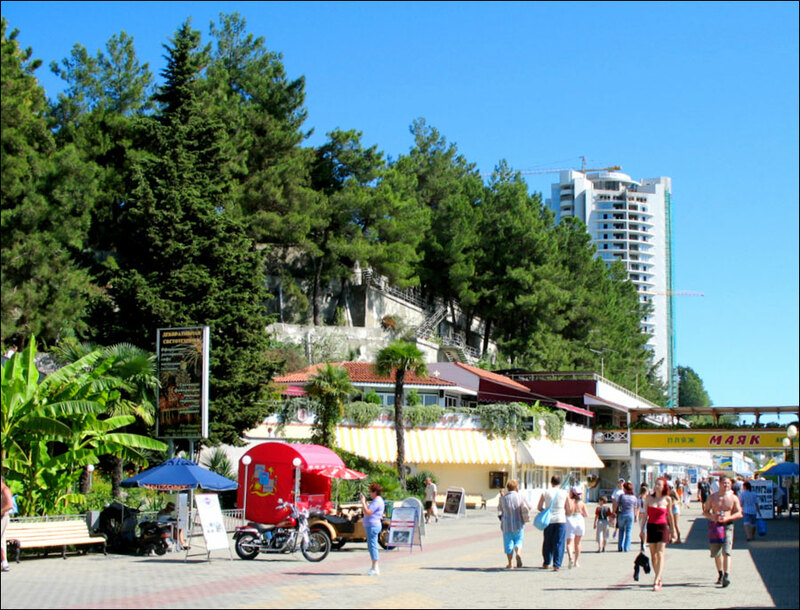 The population of Sochi is about 390,000 (2015), the area - 177 sq. km. The phone code - +7 862, the postal codes - 354000-354539. Local time in Sochi city is April 19, 1:17 am (+3 UTC). 21 August, 2016 / Sochi - the view from above. 17 February, 2015 / The Olympic Park in Sochi - one year after the Games. 25 February, 2014 / The closing ceremony of the Winter Olympics 2014. 22 May, 2017 / A resident of Sochi became the owner of a record lottery win for Russia - 364,685,787 rubles (about 6.5 million USD). The winner of the lottery "6 out of 45" bought a ticket for 700 rubles, the winning combination - 11, 44, 26, 3, 22, 34. According to statistics, 15 lucky Russians become millionaires through lotteries every week. 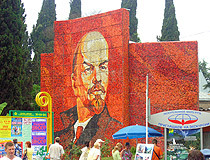 25 September, 2013 / September 24, a state of emergency was introduced in the Olympic Sochi. Several streets, highways and nearby villages were flooded. There were landslides, and even the road that leads to the Olympic Park was flooded by 1.5-2 meters. Traffic was almost completely paralyzed in the entire city. Apparently, the Olympic budget which has grown to $ 50 billion is once again not enough. 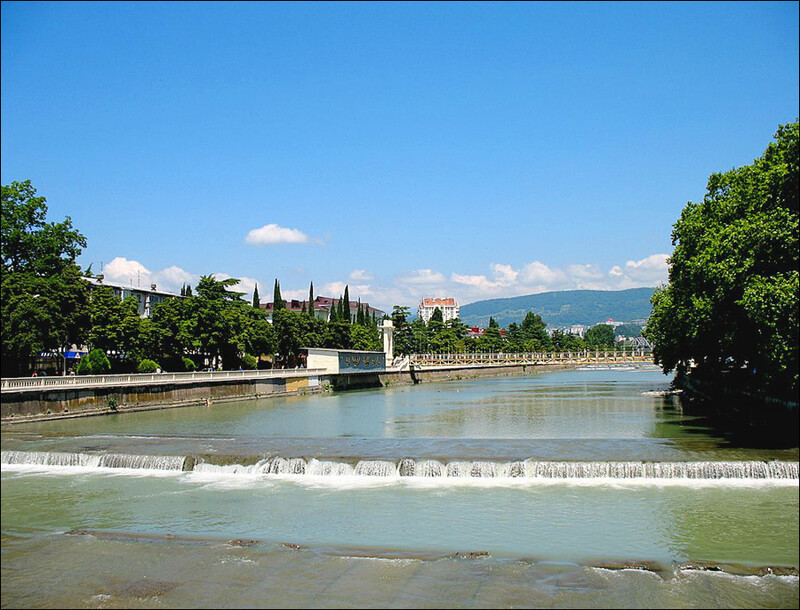 The territory of Sochi has an ancient history. 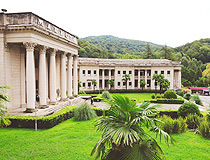 The first people appeared in the vicinity of present Sochi about 400-350 thousand years ago. The most famous monument of the Stone Age is Akhshtyr cave inhabited about 250 thousand years ago. In the first half of the 6th century BC, a large group of Scythian tribes settled on the coast of the Black Sea. Greek colonization of the Black Sea coast of the Caucasus began with the appearance of city-states in the 6th-5th centuries BC, and lasted until the 1st century BC. 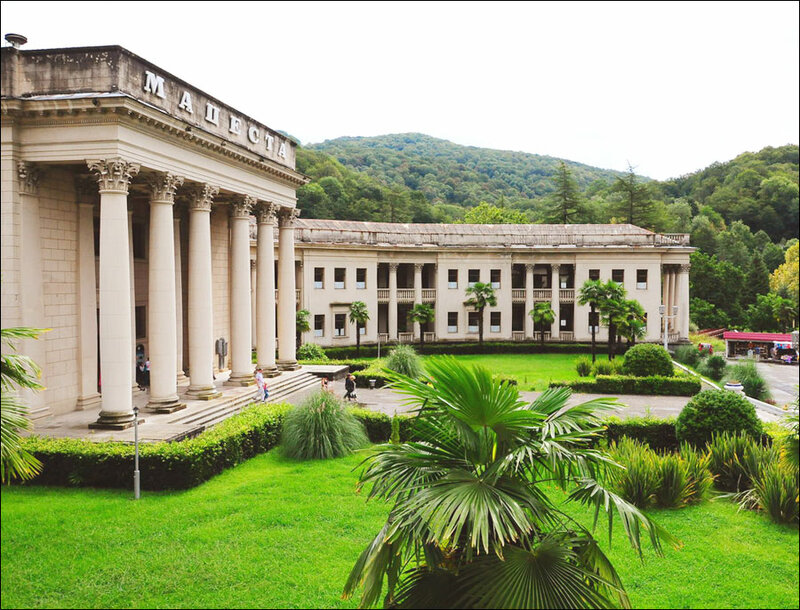 The period from the 1st century till the 5th century AD was the time of Roman colonization of the Black Sea coast. In the 6th-15th centuries, the region was under control of various Christian kingdoms. 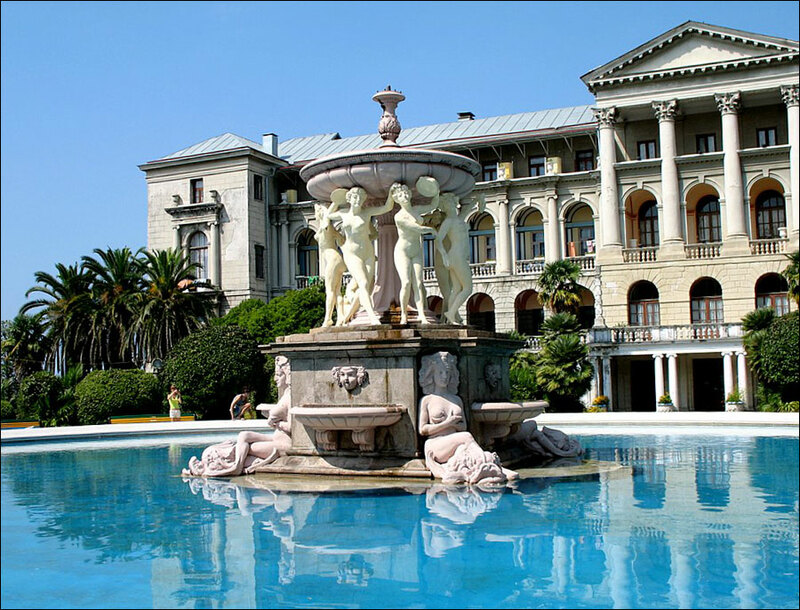 As a result of the Russian-Turkish war of 1828-1829, the Russian Empire received the territory of present Sochi. 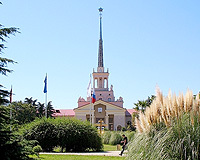 Sochi was founded as a fort called Alexandria in April 21, 1838. The purpose of the construction of fortifications was the suppression of the slave trade and smuggling of weapons. In 1839, the fort received a new name - Navaginskaya fortress. During the Crimean War of 1853-1856, the local garrisons were transported to Novorossiysk, because of the English-French squadron that appeared in the Black Sea. In 1864, the fortress was rebuilt as Dahovsky fort. Since 1874, it was known as Dahovsky Posad, from 1896 - Sochi (after the name of the Sochi River, on the banks of which the fort was standing). 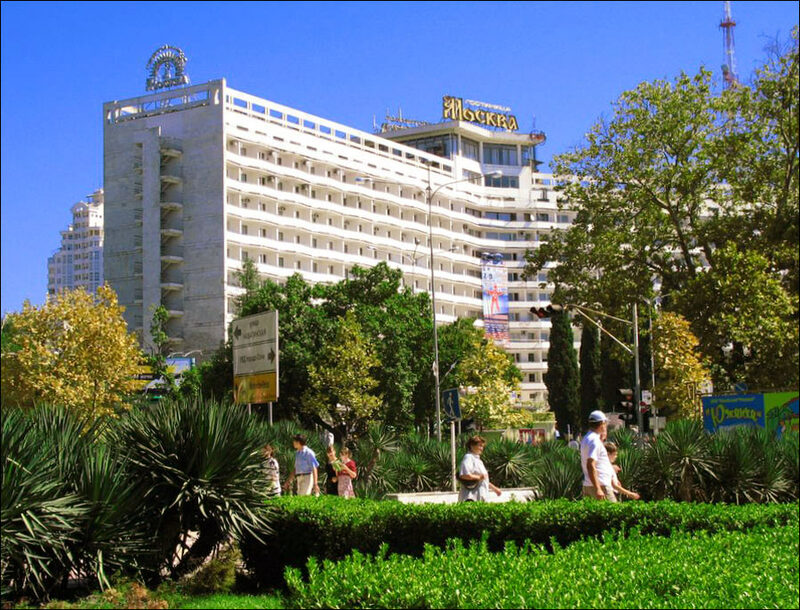 In June 14, 1909, the first resort “The Caucasian Riviera” was opened. 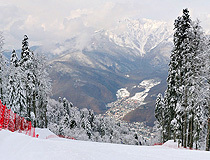 This date is the beginning of Sochi as a resort city. 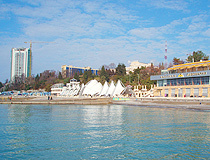 Sochi became a town in 1917. 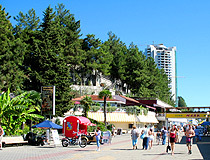 After the Russian Civil War, great attention was paid to the development of Sochi as a resort city. 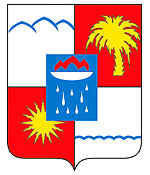 In 1937, Sochi became a part of Krasnodar Krai. On the eve of the Second World War, there were 61 sanatoriums in the city. 51 hospitals were opened on their base in December 1941. 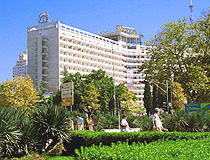 In 1993, Sochi acquired the status of a federal resort. September 15, 2009, Sochi joined the World Union of Olympic cities. 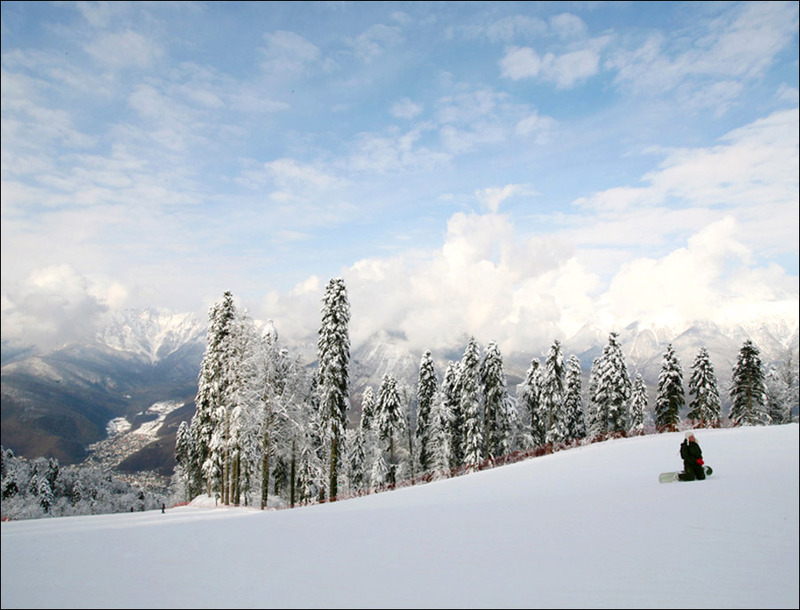 Winter Olympic Games 2014 were held in Adler district of Sochi and in Krasnaya Polyana, located 39 km from the coast of the Black Sea. In October 2010, an agreement to hold the Grand Prix Formula 1 Russia in Sochi was signed. The first F1 race was held in the beginning of October 2014. The contract is signed until 2020. Formula 1 track, built in the Sochi Olympic Park, was designed by Hermann Tilke. 6 matches of FIFA World Cup 2018 were played in Sochi. 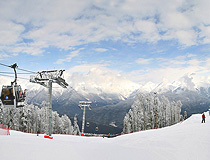 In 2014, Sochi became the first city with a subtropical climate which held the Winter Olympics. 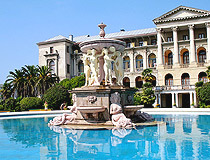 Sochi is located approximately midway between the North Pole and the equator, at the latitude of Nice, Toronto and Vladivostok. 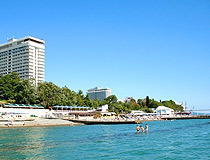 The length of the city on the Black Sea coastline is about 145 km. 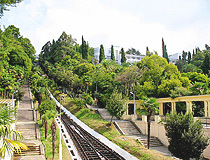 The urban area is located mainly along the coast, sometimes expanding into the mountain valleys. Sochi, the urban village of Krasnaya Polyana and a number of settlements located on the southern slopes of the Greater Caucasus mountain range form a municipal formation resort-city of Sochi, also informally referred to as the Big Sochi. 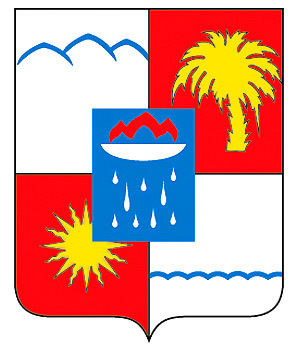 The territory of the Big Sochi is divided into four districts: Adlersky, Hostinsky, Central, and Lazarevsky. Tourism and related services are the backbone of the local economy. 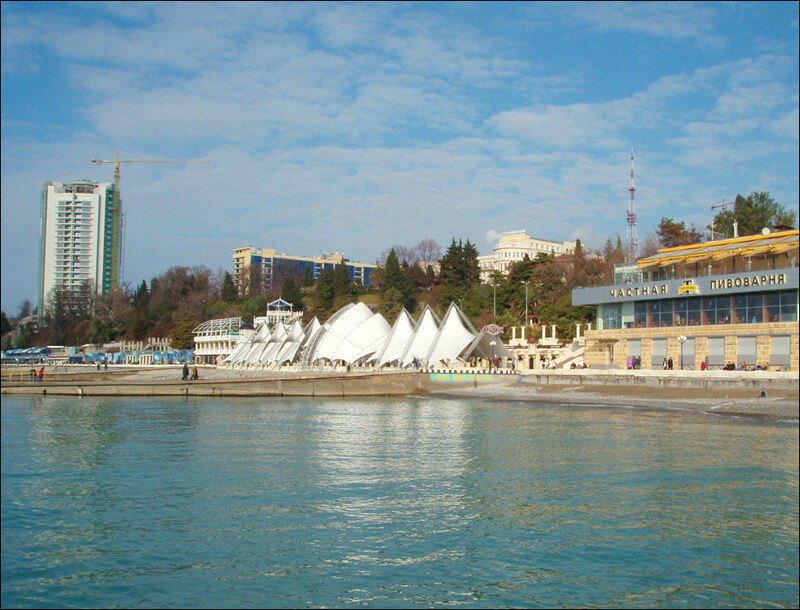 The Big Sochi has a lot of hotels, motels, restaurants, cafes, bars, entertainment centers, water parks, marinas, piers, etc. 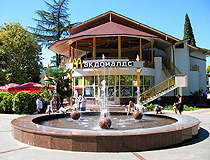 Sochi is a major transportation hub of southern Russia. Sochi international airport offers flights to Moscow, St. Petersburg, Ekaterinburg, Krasnodar, Novosibirsk, Tyumen, Rostov-on-Don, Istanbul (Turkey), Yerevan (Armenia), Minsk (Belarus) and a number of other cities. Public transport is mainly represented by small buses (marshrustkas), taxis and a small number of buses. An alternative way is to hire or rent a car. 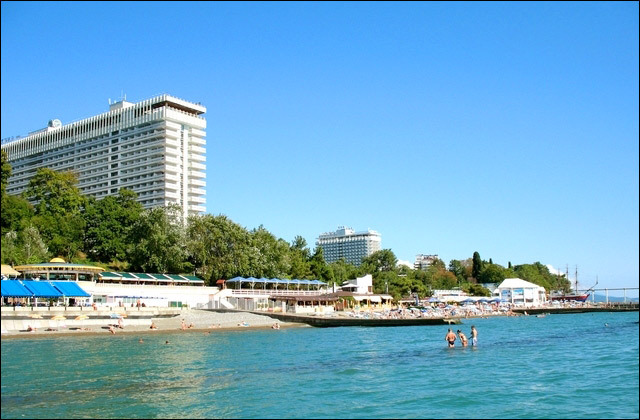 Sochi as well as the rest of Russia’s Black Sea coast south of Tuapse is located in the zone of humid subtropical climate, which strongly distinguishes this region from the northern part of the coast from Anapa to Tuapse, dominated by the typical semi-arid Mediterranean climate. A similar climate is observed in nearby Abkhazia as well as in the south-eastern United States (Mississippi, Louisiana, Alabama, Georgia). Maximum precipitation occurs in the winter season, mainly in the form of rain. Winters are warm, summers are hot and humid. 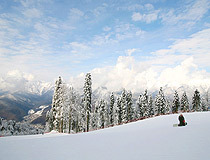 As the city is located on the northern edge of the subtropics, frosts and snowfalls sometimes occur in winter. The average temperature in January is plus 6.1 degrees Celsius, in July - plus 23.2 degrees Celsius. In summer, the water temperature reaches 26 degrees in August. The average number of sunny days is 211. Protected areas (Caucasian Biosphere Reserve, Sochi republican state natural reserve, Sochi National Park) occupy about 80% of the total area of the Big Sochi (3,502 sq. km.). Colchis forests located partially on the territory of Sochi (Caucasian Biosphere Reserve) are the UNESCO World Heritage Site. 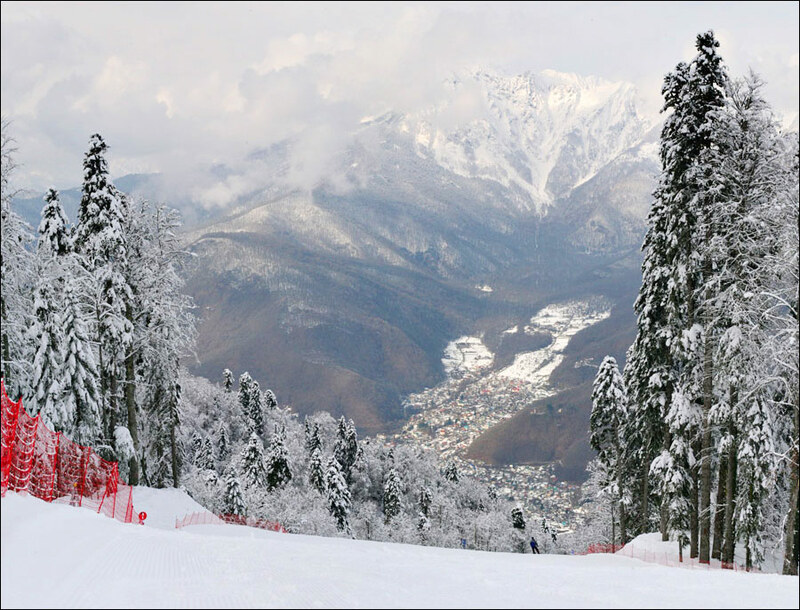 “Rosa Khutor” (ski resort in Krasnaya Polyana), Krasnaya Polyana (mountain cluster) - the venue of the Winter Olympic Games 2014, the Olympic Park in Adlersky district, Imertinskaya Embankment (walking area) are among the main places of interest. 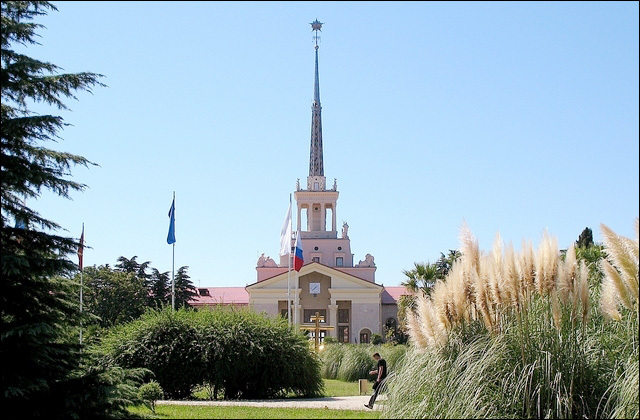 There are more than 30 Orthodox churches and chapels in the city. Stalin’s Summer Residence (Kurortnyy Avenue, 120). 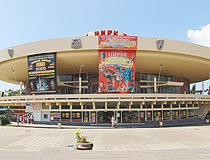 Dolphinarium in “Riviera” Park (Egorova Street, 1). Wow, it's cool to see a city with pine trees and palm trees in the same photo like with Sochi! I was adopted from a town near Tver and I stumbled upon this site when researching the geography of Russia! Всего хорошего!